While we highly recommend using the Titan 300 Flow Sensors with your Brewskey box, we know that it might be a bit pricy for some budgets. We want to make Brewskey as accessible as we can so we have put together a short shopping list and instructions on how to set things up. If you start with this basic set of parts, you can add new taps to your setup for less than $10 a tap. Putting everything together isn’t complicated and doesn’t require technical savvy. 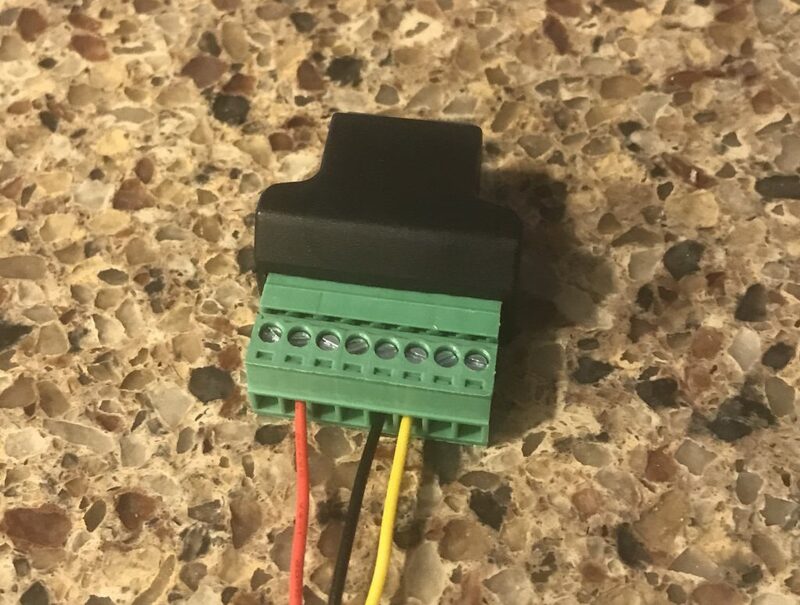 **Update** We did a bit more digging and found a new flow sensor that is made with a material that should be food safe. We ordered a few of these to test ourselves! * We recommend you also use some Thread Sealing Tape when connecting the barb hose. This will help prevent leaks. Yellow goes to pin 6. Depending on the flow sensor you buy, this color may be different. Once the thing is wired, you just follow the normal Brewskey install instructions. If you run into any issues, feel free to contact us and ask questions. What’s the worst? Wasted beer. That can mean a lot of things, of course. In homebrewing, it’s when you put so much time, love, and ingenuity into a batch of beer, and then something goes wrong. Sometimes it’s in the hopping. Sometimes it’s in the fermentation. Sometimes it’s a carbonation issue. Makes for some sad times, don’t it? When your batch turns out great, though (hopefully more often than not), you want to make sure your beer is enjoyed. If you were a full-scale brewery, you’d have all sorts of records and metrics helping you keep track of things. But you’re just you, and as capable as you are, sometimes you don’t keep as strict data as you should. You know what would be the worst? Running out of beer at Sam’s party. No, actually, serving stale beer would be worse. Much worse. Now imagine you’ve got a Brewskey hooked up to your kegerator’s tap. You don’t even have to go to the basement to ponder that keg. You can be at work and just check your phone. There you see the tap date, what kind of beer is in there, how much was poured—and how much your friends drank at Megan’s birthday party. Guys, you gotta help me drink this keg. Friday night. Let’s do it. Okay, maybe you were a little dramatic about it, but you know your friends are selfless folks who would respond to a call for help. And now you’ve got plans for Friday night. How does Brewskey work with your kegerator? Watch this short video on how Brewskey works. 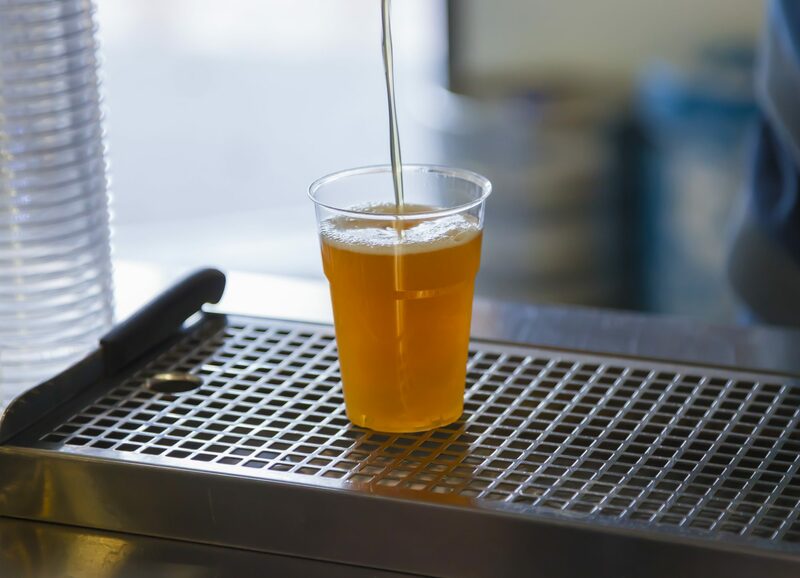 Brewskey is our attempt at creating a simple, easy to use product which connects to your kegerator to measure every pour. Attach the beer line to the value and flow meter. These come with barbs so connecting is easy. Follow a quick setup through the mobile app to connect the box to your WiFi. After setup, you can invite your friends to download the app. The app features user profiles, badges, and history of your kegerator. Want to know who drank the most beer from the last keg? We got you covered. Brewskey also features a daily leader board. This can keep everyone honest about how much beer they really drank. Our first PCB finally finished testing and arrived on our doorstep. We’ll spare you an unboxing video but needless to say we were excited for it to arrive. Our electrical engineer did an awesome job constructing this and adding tweaks to the board to improve the NFC reader. As you can see, our 3D printed brewskey box fit the PCB perfectly. It fit but it was a challenge to get the board in there since it was pretty snug. In future revisions of the Brewskey box we’ll add a bit more wiggle room. The Brewskey box uses a 12v-24v plug for power. It also has a USB port so we can do some debugging. The ethernet port is used to hook up the flow sensor and solenoid.